St. Malo, Man. – April 20, 2017 – UFCW Canada Local 832 members working at SMILE of St. Malo have unanimously ratified a new two-year agreement. SMILE of St. Malo is an organization that provides support and services to individuals with intellectual disabilities. Local 832 members at the organization help run the centre's day program. 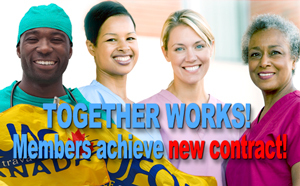 Members will receive wage increases of two percent in each year of the contract. In addition, members receive an increase to sick time payout, a new 20-year seniority premium, and increases to the existing 10 and 15-year premiums for long-standing employees. The new agreement also provides language improvements including the addition of legislated leaves, such as leaves for organ donation, and recovery from domestic violence.